This seminar is based on Dr. Bruce Fisher's model developed in Boulder, Colorado and has been offered nationwide. We have held hundreds of classes with over 5000 participants in the Madison area since 1981. This is the original Rebuilders/Rebuilding class in the Madison area. It was originally started by the Samaritan's own Linda Pettersen and Dan Feaster. Dr. Fisher created a 10-week course which he found hastens the adjustment period to the break up of a love relationship. His model is one of education and group support with a measured growth rate for each participant. Classes meet for three hours, one evening a week, for 10 weeks and are open to both men and women, whether ending a marriage or other love relationship. 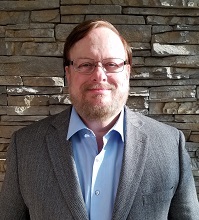 Dr. Dan Feaster, D.Min, MSW, LCSW is the Executive Director and a Licensed Clinical Social Worker at the Samaritan Counseling Center. He has taught the Rebuilding Program for over 30 years. He has also taught Pre-Marriage classes for over 30 years with his wife Helen Feaster of over 35 years, one of the other instructors. Dr. Feaster also teaches the Advanced Rebuilding Relationship Class, which meets on Tuesday Nights for anyone interested that he also teaches with his wife Helen Feaster. They offer a unique dynamic and perspective to both programs. Dan Feaster is known for his work in couples/marital counseling, as well as individual counseling. Helen Feaster, A.A.S. is an Educational Specialist currently teaching the Rebuilding Program. She has taught Pre-marriage classes, as well as classes on blended families, and relationships for over 30 years. Helen has taught for two different mental health clinics and has taught both nationally and internationally. Helen has experienced a divorce herself. She is now married in a strong and healthy marriage for over 35 years in a blended family. 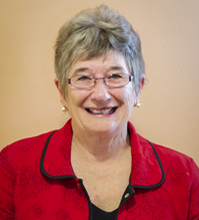 Helen has also been involved with the Rebuilding Program for over 30 years. 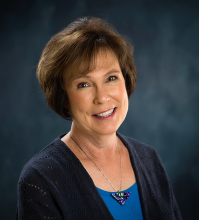 Linda Pettersen, substitute instructor MSW, LCSW is a Licensed Clinical Social Worker at the Samaritan Counseling Center. 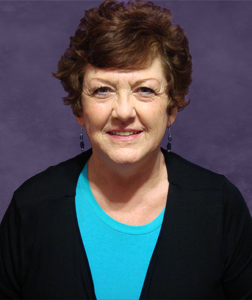 Linda has provided individual and couples counseling for over 30 years. Linda Pettersen founded the Rebuilding Divorce seminar in Madison in 1981 and taught Bruce Fisher’s model for over 30 years with Dan Feaster. Linda has had a diverse career which has included non-profit settings, child protective supervising, and teaching at higher education institutions. Linda sometimes substitutes for Dan and Helen Feaster. Sue Gruen, substitute instructor MSSW, LCSW is a Licensed Clinical Social Worker at the Samaritan Counseling Center, who offers individual, couple, and family counseling. Sue has also been through a divorce herself, but is now happily married in a blended family for over 25 years. Fees The seminar tuition fee is $300* with an Early Bird discount of $25 for those registered two weeks in advance. The actual program is held at the Samaritan Counseling Center on Monona Drive.